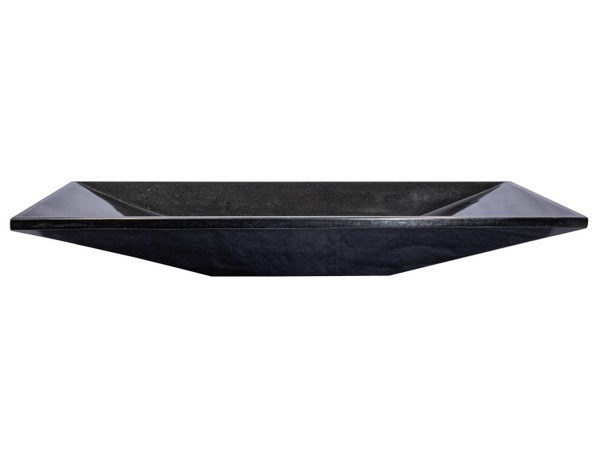 This Japanese inspired ultra modern, zen vessel sink is made out of pure polished black granite. The solid square base extends its vertices to a wide rectangular shape that provide a unique bold look while maintaining the utmost practicality. All Eden Bath stone sinks are hand crafted out of solid pieces of natural stone, giving each sink a unique final look. Outer Dimensions: L: 28", W: 13", H: 3.7"